Martin Shirran’s idea on the Origins of Obesity… It’s interesting that in the early 1960s, much was said about famine, and it being a serious global problem; people were dying of starvation. Nowadays in the media, on an almost daily basis, it has changed to discussions about ‘globesity’. 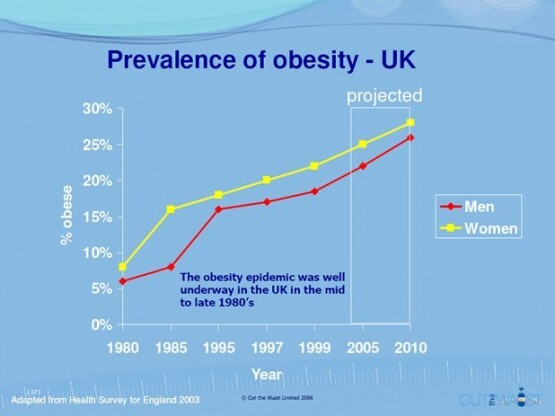 Obesity rivals global warming and international terrorism in terms of threats to society. The World Health Organisation confirms that obesity and overweight are now linked to more deaths than starvation: the situation has reversed. Many books and research documents have, of course, been written about the subject: my take is based on the effect of basic energy expenditure. Obvious, you may think. Let me explain…When I was a child I remember living with my parents, brother and sister, always eating three meals a day, often having supper as a little extra most evenings before bed time. I fondly remember the large Sunday lunches, always with a heavy pudding, but no one in our home was what I would call fat. I went to a very large school; hundreds of children attended, but once again thinking back, whilst I am sure there must have been a few overweight kids attending, I cannot think of many. So, what changed? How did global obesity become such a big issue? Well, for a start I remember my mum or dad repeatedly asking me to ‘jump up and change the TV channel back and forth’. The telephone was ‘wired in’, and, like in all households at the time, I remember it being on a small table at the end of the hall, so answering the phone always meant running down the hallway, and then going back to tell whoever the call was for, to ‘visit the phone’. I learnt to drive in my dad’s Ford car; no power-assisted steering then, and, when you wanted to open the window, you had to turn a crank handle on the door winding it up or down. After doing my paper round in the morning, I would return home, have a wash and make my bed before leaving for school. I recall my first trip abroad; being dropped off at Luton airport in a minibus, struggling to the terminal carrying my suitcase, and standing in line behind a hundred or more people at the check-in desk. Every time someone was checked in, you bent down, picked up your case and moved forward a step or two. Similarly, if you could have seen me and my wife watching TV at home last night, you would note that, between us on the sofa, we had the TV remote control, the Sky Box remote, and, of course, both our mobile phones; no one gets up to adjust the TV, do they? And who gets up and runs around the house to answer the phone? We have a wonderful set of Samsonite suitcases; like most modern luggage, not only do they have wheels so that you can pull them along behind you, but they have four wheels, so you can stand them up and wheel them along at check-in, maybe even with a burger in your free hand. After clearing security at our local airport there is a considerable distance to walk to the ‘gate’, but no fear, you don’t have to do anything like use your feet or legs, you just stand on the ‘travelator’, with a Danish Pastry in your hand, should you so wish, and you will automatically be deposited virtually at the door of your aircraft! Many homes now have dishwashers, remote control TVs, self-cleaning ovens and automatic washing machines; even the robot vacuum cleaners and lawn mowers are growing in popularity. In both the US and the UK, self-driving cars are in the final stages of trials. When I try to calculate the calorific value of the energy saved on a daily basis with regard to some of the items above, it becomes obvious to me that something, somewhere, has to change, and soon: we just cannot continue to physically do less, and eat the same, or even more; it will literally be the death of us. One final point for the more mature reader: do you remember years back when the last thing people did at night, or possibly the first thing they did in the morning was to wind up their watch….? Kind of ‘cute’, don’t you think…? But, if that single act burned, let’s say 0.5 of a calorie (this is not based on any official calculation) then 0 .5 multiplied by 365 and then multiplied by say 60 years equates to approx 11,000 calories; maybe the demise of that act – the ‘rise of the mobile’ as your alarm call – could be the origin of obesity…hopefully you never had to wind up your alarm clock as well…! 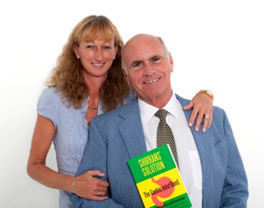 Martin & Marion Shirran have devoted the last decade to the development of their Gastric Mind Band® permanent weight loss technique. They have a client list running into many hundreds, many celebrities included. They have completed close to 10,000 hours of one-to-one client treatment time, obtaining extensive first-hand knowledge of the psychological issues overweight people have about food, food choices and eating. To watch a film about their work visit www.gmband.com. They have written two books – Gastric Mind Band and Pause Button Therapy (Hay House) – about the therapies they developed. Their work is 100% based on psychology, incorporating the latest advances in research around Neuro Plasticity and Time Perspectives. Martin & Marion were invited to present elements of their work at two world conferences on Professor Philip Zimbardo’s Time Perspective Therapy at Coimbra University, Portugal and at Warsaw University, Poland.